What Are Test Taking Tips? Students take the OGT for the first time in the spring of their sophomore year and can take it again as juniors and seniors. To receive a diploma, an Ohio high school student must pass the Ohio Graduation Test, a comprehensive exam spanning mathematics, writing, science, social studies and reading. For students who struggle with language and reading comprehension, the four short-answer, two extended-response and 32 multiple-choice questions that make up the reading portion of the OGT can be challenging. If you’re worried, prepare with a few test-taking strategies that will help you take the exam with confidence. The usage of literary devices is one of the central concerns of the reading OGT. Before you go into the test, be sure that you fully understand some of the basic linguistic terms like simile, metaphor, hyperbole, repetition, personification and symbolism. Both the multiple-choice and essay questions will ask you about the impact of these devices on the meaning of the text. When reading a long text, it can be hard to maintain concentration on the full context of the passage, especially when you’re already uncomfortable in a test situation. If you skip past the text and read the questions before reading the passage, you’ll have a better idea of what words and ideas you should be paying particular attention to as you read. Run your fingertip below each word as you read in order to keep your focus on the idea at hand, without being distracted by the other words on the page. Underline key words or phrases so you can find them more easily while answering questions down the line. As with most standardized tests, familiarity with the particular structure of questions on the Reading OGT can help guide you toward exactly what the question’s asking for. The Ohio Department of Education releases sample tests online for students to practice on. Take a practice test and underline the verbs in each question. After you answer each question, read the prompt a second time to be sure you’ve addressed everything the question asked, making a check mark next to each verb as you go. Use the same strategy on the test and you should be confident that you’ve answered exactly what you needed. Don’t risk getting caught on the first question. The three sections of the Reading OGT are weighted differently, and if you waste time struggling with a single one-point multiple choice question, you may lose time you need to fully answer a four-point extended-response question. If you don’t understand what you’re being asked or are struggling to find the answer, circle the number of the question and move on with the test. Return to the multiple-choice questions you skipped only after you’ve finished fully answering the more heavily weighted short-answer and extended-response questions. 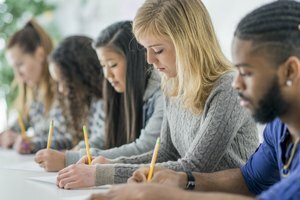 What Is a Good Multiple Choice Score on an AP Exam? 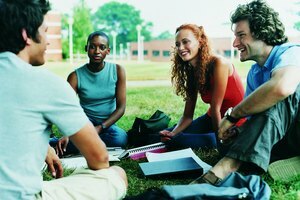 Why Is It Important for Sophomore Students to Prepare for the SAT? Kerr, Suzy. "Tips on Passing the Reading OGT." 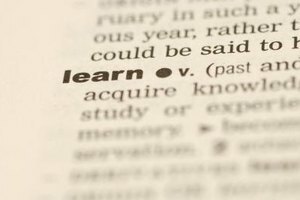 Synonym, https://classroom.synonym.com/tips-passing-reading-ogt-28136.html. 26 September 2017.